I can't seem to get this form to calculate the 3 options. Can someone please help? On this form I can't get the form to add the selected options. I'm not good at code at all, but I'm sure this is very simple for someone who does know code or is more familiar with jotforms. It's for a customer so I need it as quickly as possible and I just can't figure it out. If someone could help I'd appreciate it greatly!! After reviewing your form, I am seeing that it is collecting credit card information, please note that this is against our terms and is seen as an act of phishing. 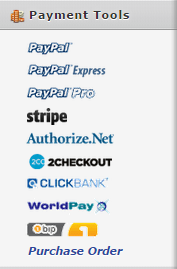 Please remove those fields from your form, and use one of the Payment Gateway that is available for integration with your form. 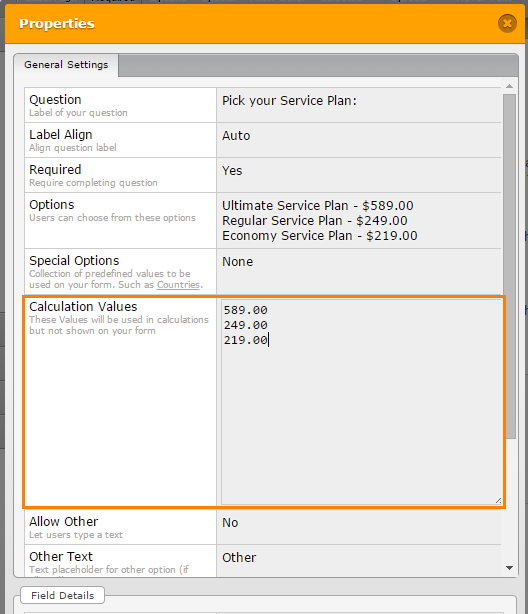 To have the form calculation work correctly, you would need to add the value of each option in a specific field. To do so, you would select the field and click the gear icon. You would then select to "Show Properties"
This will be applied to each field that should be calculated.